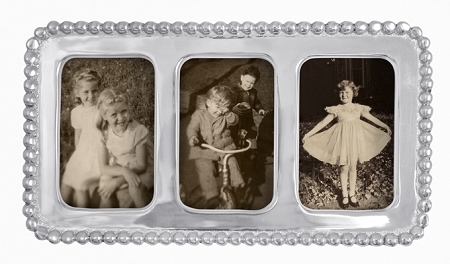 A trio of memories will be remembered often in this three-part beaded picture frame. Designed by Michael Updike. Handmade in Mexico of recycled sandcast aluminum. Dimensions: 7.25" L x 4" H. Photo opening size: 2" x 3" each.